Contractors in charge of paving America’s roadways have a delicate balance to strike during construction. The hot mix asphalt the roadway is comprised of has to be affordable enough to make financial sense for all parties involved while still being able to withstand everyday wear and tear. Including recycled asphalt shingles (RAS) in the mix is a cost-effective solution for utilizing the asphalt cement present in these shingles that would otherwise be discarded. This helps producers save money on asphalt cement costs and reduces the dependency on foreign sources of oil. Over the last several years, however, low oil and asphalt cement prices and concerns over the durability of using RAS in hot mix asphalt have combined to burden recyclers. Together, these factors have decimated the market, causing recyclers to have to stockpile inventory due to lack of demand. When Southwind RAS was founded in Bartlett, Illinois, in 2009, Vice President David Stanczak says the company was intent on figuring out ways get its foot in the door of the growing RAS market. In 2010, the company began processing and selling the material and was soon able to capitalize on the industry’s need for affordable mix material. The market for RAS was so strong during this period that Stanczak says his company began to run out of available inventory, forcing Southwind RAS to reassess the volumes it stockpiled. This boom was short-lived, however, as cooling asphalt cement costs and durability concerns began to surface. He notes that as a general rule, when the price of asphalt cement begins to drop below $400 per ton, RAS becomes less attractive to contractors to use in their mixes. This is because the cost differential between RAS and virgin asphalt cement gets negated, making the savings potential of using RAS less attractive. The price of asphalt cement began to drop around 2015, Stanczak says. Around the same time, state departments of transportation were dealing with concerns over cracking in roads where RAS was used. Due to the combination of factors depressing the market for shingles, the demand for Southwind RAS’ products began to diminish, which caused the company to get more aggressive in its pricing to stimulate sales. Despite its efforts to remain competitive, the lack of interest across the industry over the past few years affected Southwind RAS, as it did most other recyclers, with large volumes of product left stockpiled and unaccounted for. Although the demand for RAS has been subdued for several years, Stanczak says that the pendulum is beginning to swing in the other direction. Asphalt prices are now approaching, or in excess of, $500 a ton in many parts of the country, which has brought contractors back to the table. Additionally, industry participants are becoming better educated on proper hot asphalt mix concentrations, Stanczak says. This is helping alleviate the stigma of using RAS in mixes. According to Stanczak, Southwind RAS has been proactive in educating its customers on considerations for creating a more durable mix using RAS. He notes that asphalt cement present in RAS is different in formulation than that of virgin asphalt commonly used in hot mix asphalt. These nuances require contractors to make adjustments depending on the type of material they’re using. Specifically, he says the company stresses responsible mixing by emphasizing the need for contractors to lower the performance grade (PG) of the virgin asphalt cement used in hot mix asphalt to a softer grade. That way, when the softer virgin-grade asphalt is incorporated with the stiffer RAS, it balances out and makes for a more stable product. His company also advocates for the use of rejuvenators in mixes. Rejuvenators help adjust the overall asphalt concentrations in the mix to help it get back to the intended grade it needs to be for optimal strength and durability at a low price point. Stanczak says that Illinois has implemented what is known as the Illinois Flexibility Index Test (I-FIT), which is a test used to determine how susceptible asphalt mixes are to premature cracking. He notes that while this test may dissuade some contractors from using RAS in their mix because of the potential for failure, it simply underscores the need for contractors to understand the dynamics of proper mix concentrations. As the Federal Highway Association pushes other states to adopt similar testing, Stanczak says that his organization is working with these agencies to educate the industry on ways to incorporate recycled materials in a way that saves money, enhances structural integrity and promotes the use of sustainable materials. He says that the recycling industry can do its part to promote the use of RAS in mixes by focusing on producing a quality, homogenous product that end users can rely on. Beyond use in roadway construction, RAS is finding a promising alternative market in dust control applications, Stanczak says. 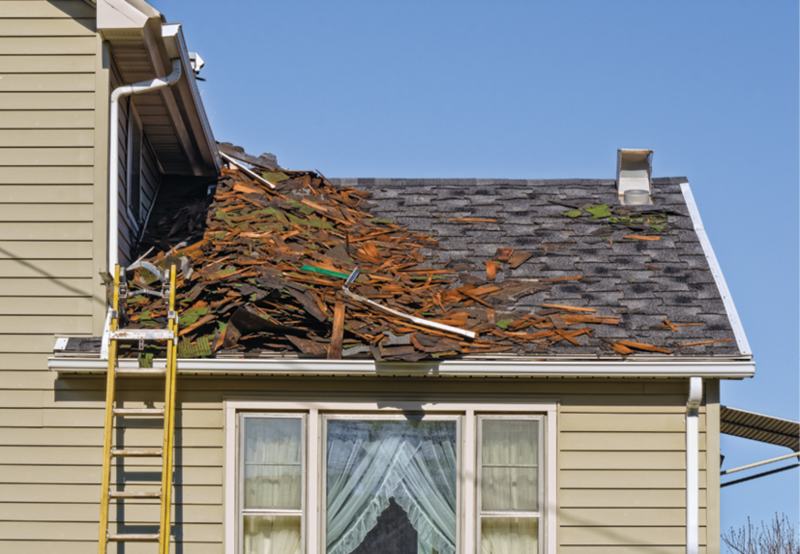 Thanks to the glut in the recycled shingle supply, recyclers have been willing to sell RAS for cheaper, which has helped generate interest in this niche market. Nobody can predict how the shingle recycling market will fare in the coming years, but Stanczak says that all indicators point to renewed interest in RAS continuing into 2019—which should be music to the ears of those recyclers that have been stuck on the sidelines waiting for an opportunity to unload long-stagnating inventory.